With just a week to go until the richest race of the year, the President’s Cup, there’s a low-key weekend of racing in store. National Assembly Audit season, a 20-day showpiece of men-in-suits shouting at each other, is often a highlight of the year for political watchers. Every governmental or quasi-governmental organisation from the Army to Electricity Board has to send its top brass to Yeouido to face those fierce protectors of the public interest, otherwise known as the lawmakers of the National Assembly. Somewhere between the Army and the Electricity comes the Korea Racing Authority and Executive Director Kim Yong Man was up before the panel last week for the ritual grilling. And a dull affair it was too. On the agenda were a number of subjects although the main focus was on the financials; operating profit was down to a mere KRW250 Billion (that’s about $240 Million). Meanwhile, in the least surprising news of the year, salaries throughout the organisation, from the Chairman down, are high – the hearing heard that the average KRA staffer now makes an annual salary of around KRW 90 Million – equivalent to the likes of Samsung Electronics. Inevitably the proximity of Off-Track-Betting plazas to schools was also raised. In the wake of strong local resistance to an ongoing attempt by the KRA to relocate its OTB in Yongsan in Seoul to a site a block away from its existing one, this has been an issue seized upon by anti-gambling groups recently. Horse racing didn’t come up. 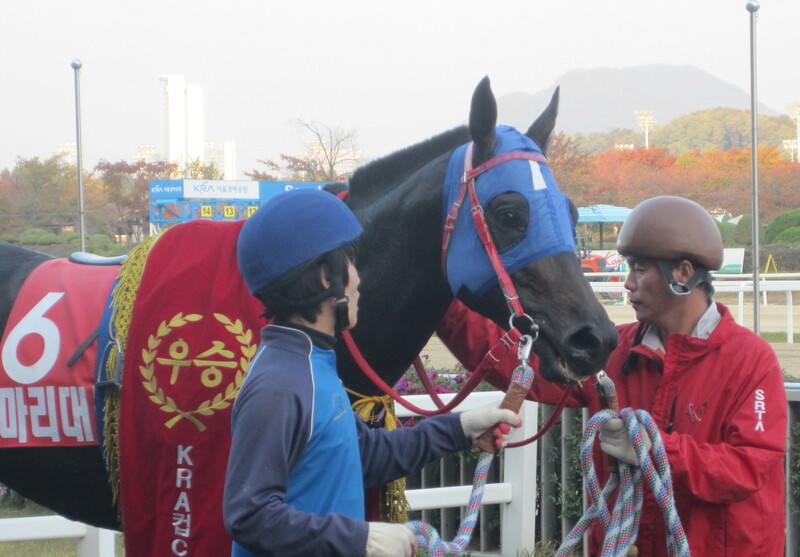 Tough Win’s attempt to reclaim the KRA Cup Classic crown that he last won as a 3-year-old in 2010 fell flat as Mari Daemul ran out a convincing winner at Seoul Race Park this afternoon. Finishing in 6th place, it was only the second time in his 31-race career to date that Tough Win returned without any prize-money. Sent off the odds-on favourite, he seemed ideally placed, just behind the leaders, as the field turned for home. 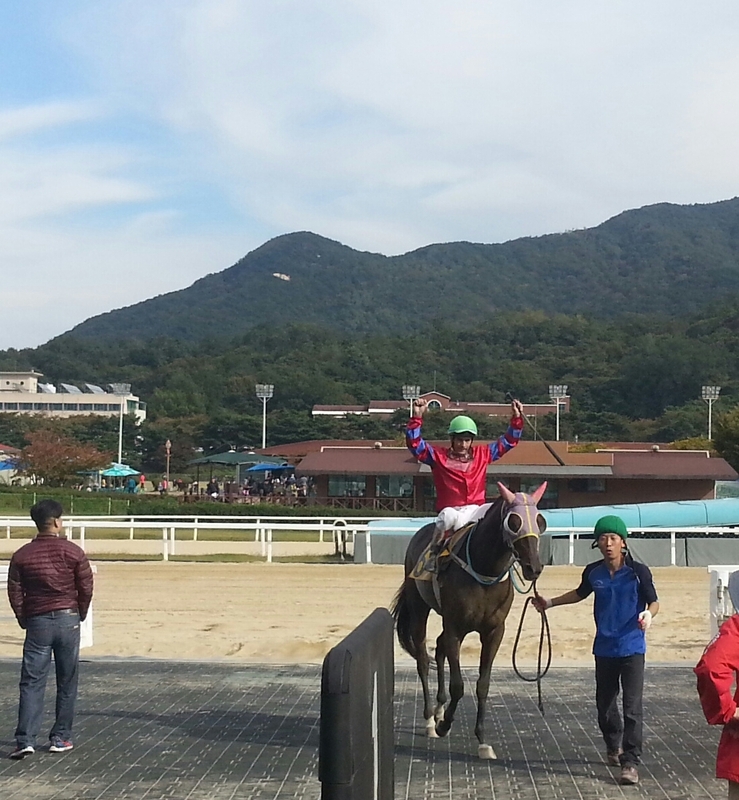 In the home-straight though, the 2-time Busan Metropolitan winner could find nothing while Mari Daemul, who had been in 2nd place throughout, sprinted into a clear lead and comfortably held off late closers Indian Blue and Bichui Wangja. Mari Daemul, a $5,500 from Fasig Tipton’s mid-Atlantic Mixed sale in December 2010, was recording his 7th win from 20 career starts and his first in a Stakes race. He now must be considered a potential entrant in the season-ending Grand Prix Stakes. Regardless of today’s lacklustre effort, Tough Win will probably be there too. Tough Win heads the line-up for the KRA Cup Classic, the pick of the action on a busy weekend of racing in Korea. Now 6-years-old, Tough Win, who has 22 wins from his 30 starts including this race back in 2010, will likely start as favourite although will have some competition as he looks to bounce back from defeat in the SBS Korea Vs Japan Cup last time out. At Busan, there is plenty to watch too. Beolmaui Kkum, runner-up to Tough Win in the Busan Metropolitan Stakes, and considered a potential future star, goes in the first of co-features on Sunday afternoon where he will carry a full 60kg with Wild Myeongun and Peter Wolsley’s Secret Whisper among his rivals. Wolsley’s stable star Cheongchun Bulpae is in action in the 2nd of those features and despute giving the rest of the field a minimum of 5kg, should have enough to see off an uninspiring set of 6 others. Fly Top Queen, unbeaten in all of her 4 lifetime starts, heads the line-up Korean-trained horses who will go to Tokyo next month to compete in the 2nd-leg of the Korea Vs Japan Challenge. The race will be held at Tokyo-Ohi Racecourse on November 26. The first leg was won by Japanese raider Tosen Archer at Seoul Race Park on September 1. The Ohi race will be run over 1200 metres. 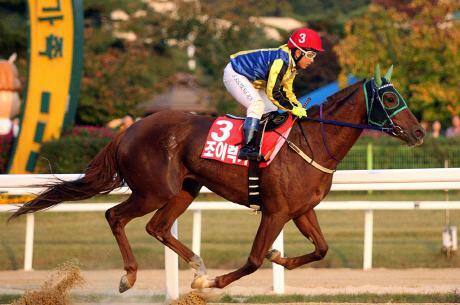 The 3-year-old filly was the most expensive racehorse ever imported into Korea when she arrived in mid-2012. However, after suffering setback after setback, it took her over a year to reach the racecourse. She’s been worth the wait with all of her 4 victories coming in crushing style and all over the 1200 metre distance she will compete in here. A 3-year-old colt who was 2nd to Tosen Archer in the 1st leg at Seoul last month. In doing so, he earned an official rating of 100 from the Singapore Turf Club handicapper who rated the race. Set to be the only Korean-bred horse to take part in either “Korea Vs Japan” race, the 4-year old filly got her first Stakes win in the Turkey Jockey Club Cup in August but was very disappointing on her class 1 debut earlier this month. With Ohi, located between Haneda Airport and downtown Tokyo, racing on dirt as opposed to the Korean style sand and, moreover, running clockwise, the home-team will be favourite to complete a double over Korea. However, don’t rule out an upset. We’ll have plenty more on the build-up to the big race over the next month. Joy Lucky emphatically won the Gyeonggi Governor’s Cup at Seoul Race Park this afternoon to be crowned the track’s Champion filly & mare or 2013. Joy Lucky came into this race as favourite having been controversially defeated in last month’s Donga Ilbo Cup when she was the victim of accidental interference entering the home straight when looking set to win. 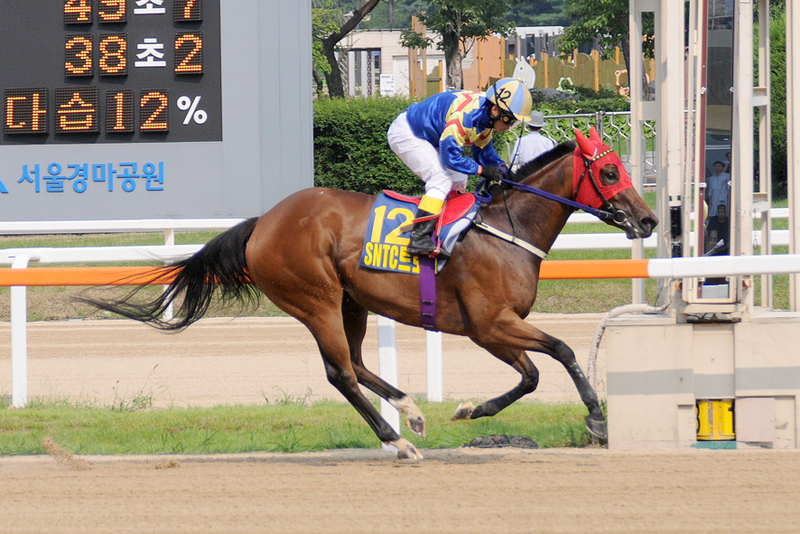 This time jockey Seo Seung Un took no chances as aboard the 3-year-old filly, he tracked the early pace-setter Yeoui Gold throughout the early parts of the race. When the former ran out of steam, there was clear track ahead and nothing capable of launching a challenge. Joy Lucky flew home to win by 7-lengths with Seo if anything a little too exuberant with his use of the whip in the closing stages when under no pressure at all. Chowon Yeoje was the well-beaten 2nd while Seungniuihamseong was 3rd. YTN Cup winner Choichoro, with Fausto Durso on board, was net home in 4th. Joy Lucky has now won 6 of her 8 career starts. Aside from her unlucky defeat last time, her only other reverse came in the Korean Derby when she was a disappointing 9th. After that, connections kept her off the Classic trail and she missed the Korean Oaks and the Minister’s Cup. However, it is to be hoped that with the Seoul title in the bag, owners will be tempted into trying her luck against the best fillies & mares on the peninsula in the Queens’ Tour final in Busan next month. On this form, she would give them a very good run for their money. 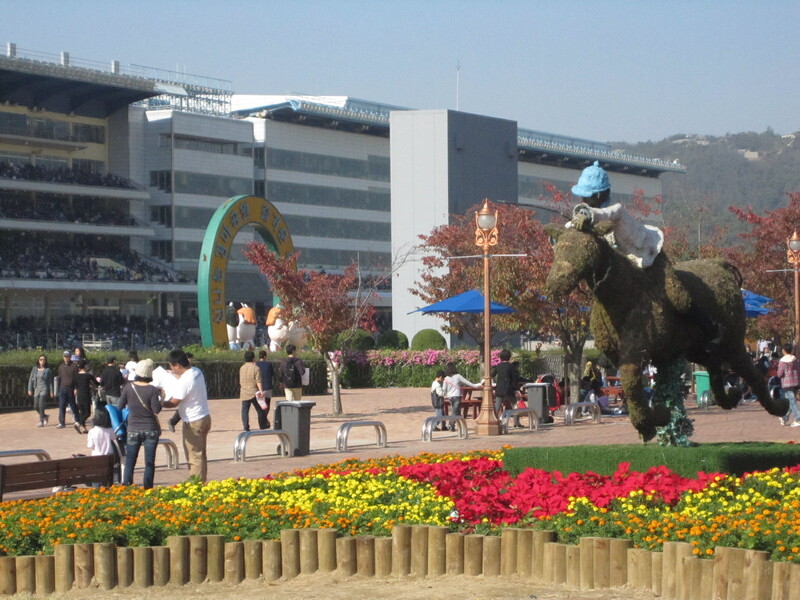 Down at Busan, there was disappointment for Peter Wolsley and Darryll Holland. The Aussie trainer and British jockey had combined last month to win the Gold Circle Trophy with My Winner (Vicar) and the 4-year old was heavily favoured to make it 5 wins in a row in his reappearance in the feature race today. It wasn’t to be, however, as 11/1 shot Goryeodaejang (Sunday Break) pulled off the upset, My Winner having to settle for 2nd. My key (Macho Uno), the half-brother of Game On Dude, finished in 3rd under Joe Fujii. Next week Stakes action returns to Seoul again with KRA Cup Classic. 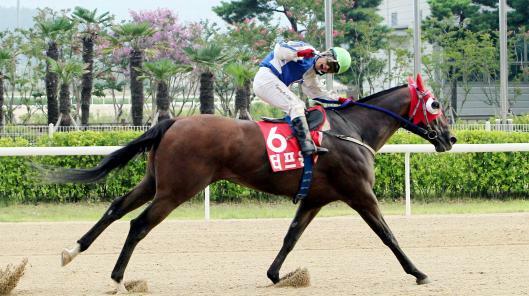 Tough Win is expected to headline the field, while at Busan, current Grand Prix champion Gamdonguibada is among those expected to get a a run-out with this year’s edition of the season-ending race less than 2 months away. 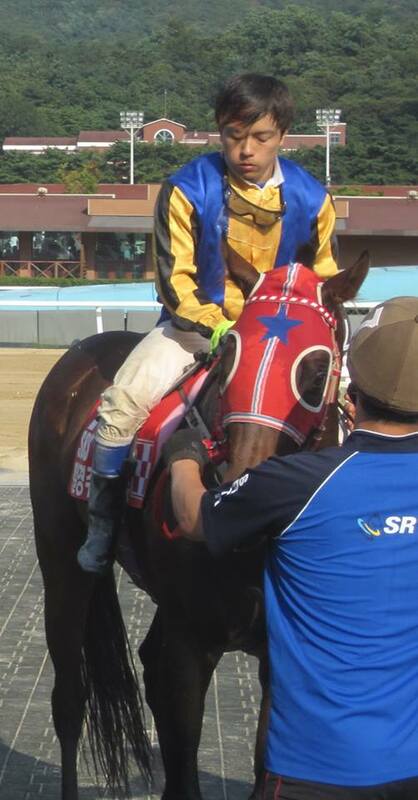 Fausto Durso enjoyed a good start to his time in Korea, riding a winner, a 2nd and a 3rd at Seoul Race Park this afternoon. 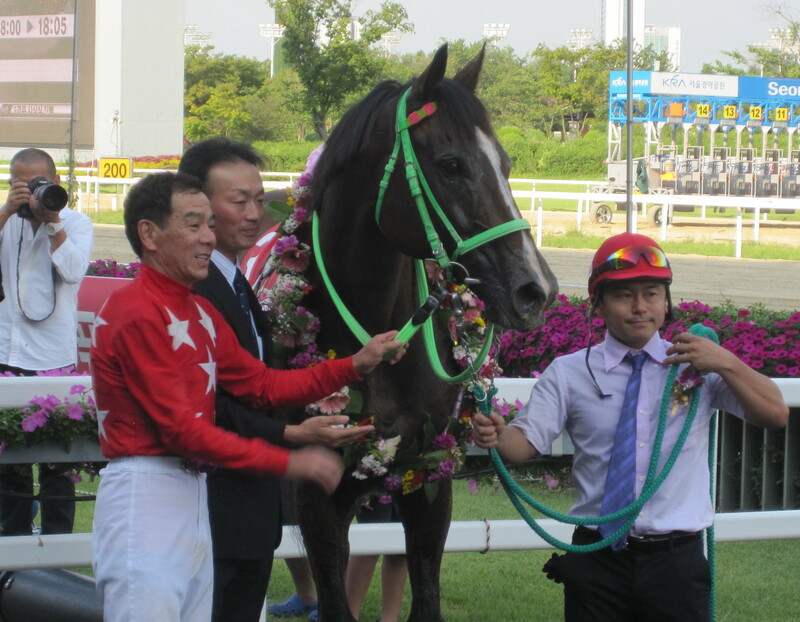 The Brazilian Jockey was in the Winner’s Circle on his only previous visit to Seoul, when he won the YTN Cup while taking part in the International Jockey Challenge in August this year. It didn’t take him long to get back in there as his first ride today ended in a well-timed victory on 24/1 outsider Argosseon in race 6. One race later, Durso managed 3rd on the much-better fancied Lion Galloper and was then just beaten into 2nd in race 11 on Sufficient Evidence. 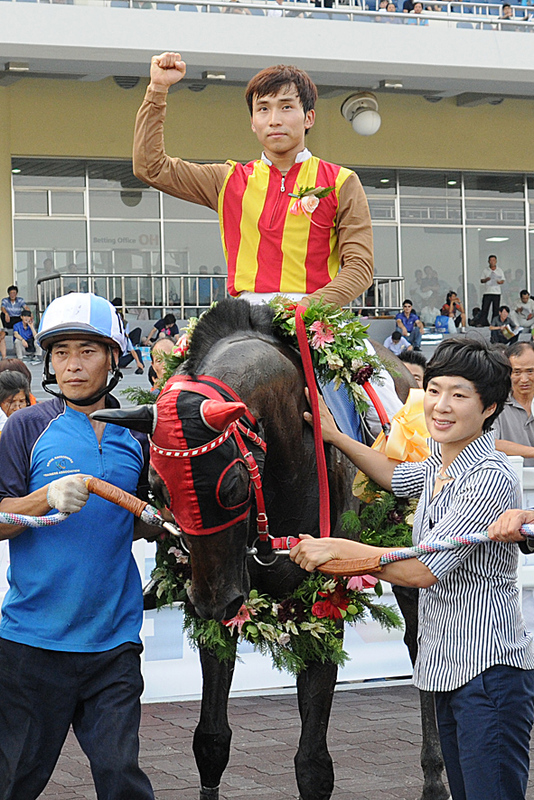 Seoul’s other foreign jockey, Ikuyasu Kurakane, had another typically successful day. The Japanese rider scored 2 wins to take him up to the 50 mark for the year. Racing returns to Seoul tomorrow when the Gyeonggi Governor’s Cup, the track’s premier race for fillies and mares, will be the highlight. While Kurakane doesn’t have a ride, Durso will be reunited with Choichoro, who he won that YTN Cup on.